Diamond is a family-friendly gem for an owner who’s not ready to slow down. Diamond, the newest AB 116, was purchased by a family man who enjoys cruising with his grandkids as much as he still enjoys working. His deckhand describes him as not being ready to slow down just yet, literally or figuratively. 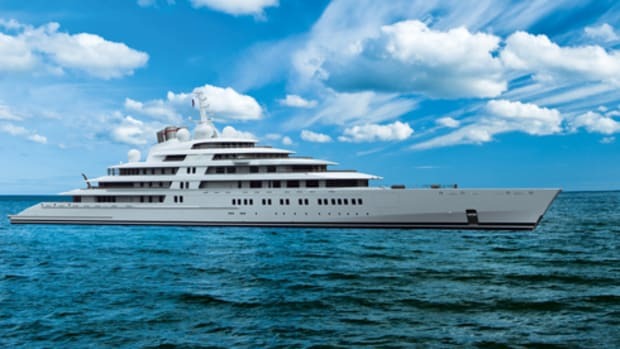 The boss wanted a yacht to get him somewhere fast, he explains, and he plans to take it easy when he retires. Diamond certainly delivers on his priorities. 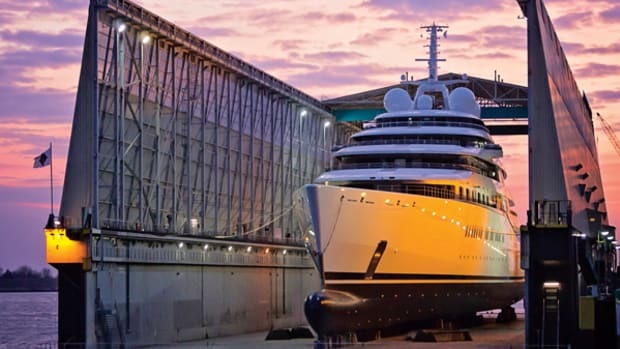 She is capable of a reported 49-knot top speed, courtesy of triple 2,600-horsepower MTUs coupled to MJP waterjets, the builder says. 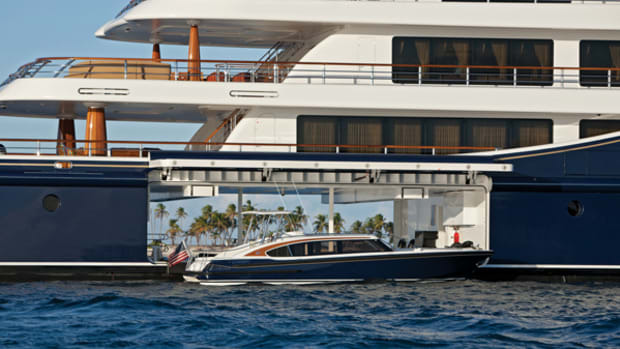 Her toys deliver as well: a Williams tender that tops out at 50 knots, and a PWC that exceeds 70. Of course, Diamond isn’t just a speed demon. 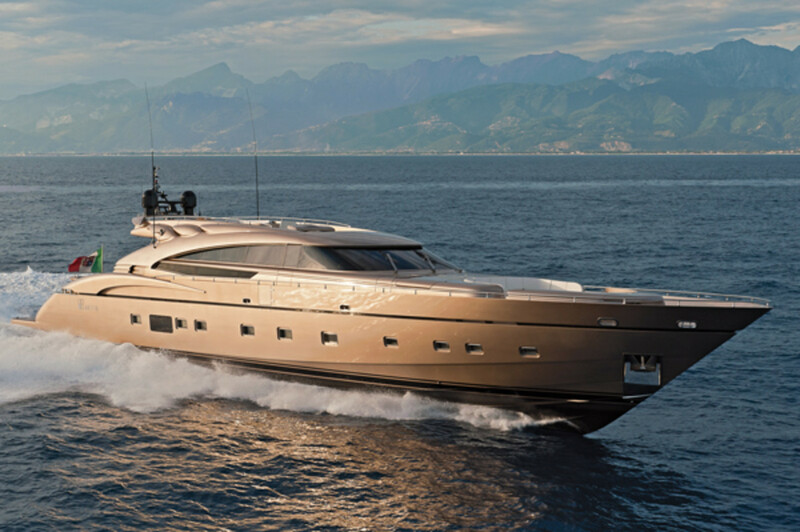 With both styling and interior design by Guido de Groot, the AB 116 incorporates welcome layout features. 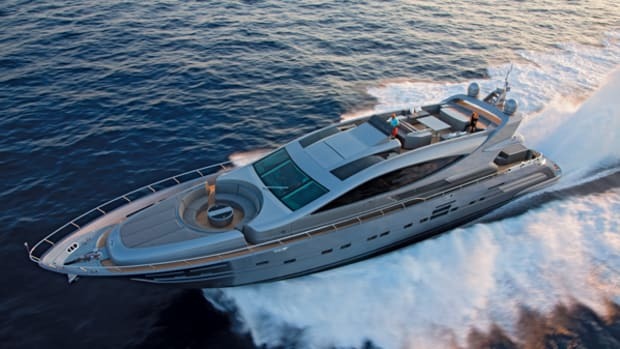 There’s a flybridge that you’d never know existed just looking at the yacht’s profile. 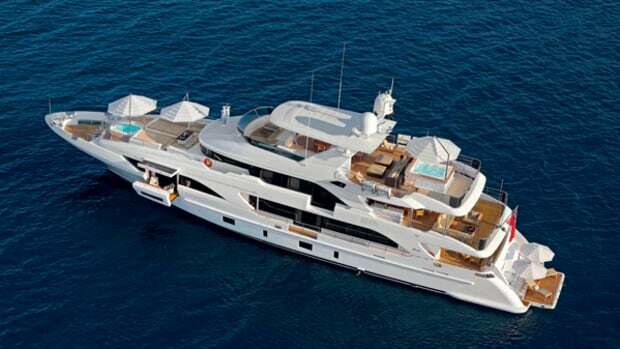 It features a secondary helm station, grill, dining area and sunning space. 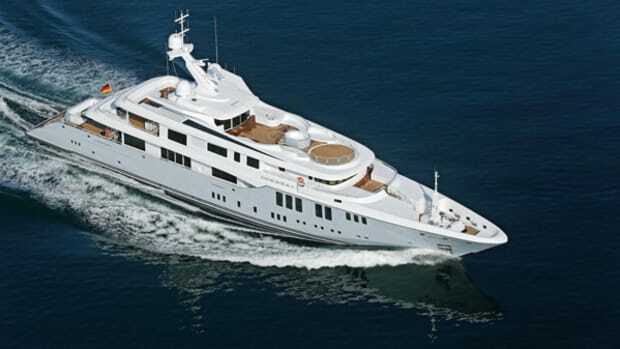 Inside, there’s an atrium-like TV lounge down several steps from the triple-seat main helm. 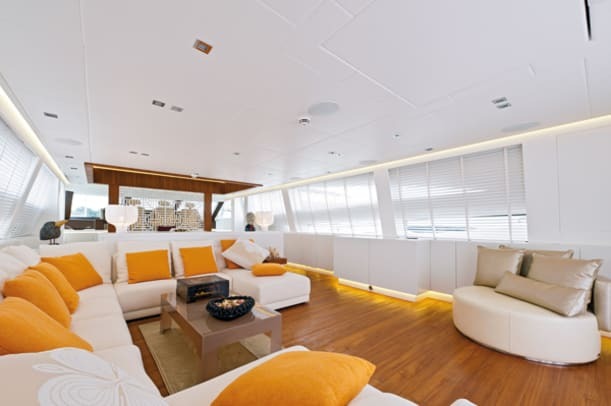 If you’re familiar with AB yachts, you’ll recognize this as a signature space. If you’re not, you’re in for a treat—the headroom rises up to the main deck. 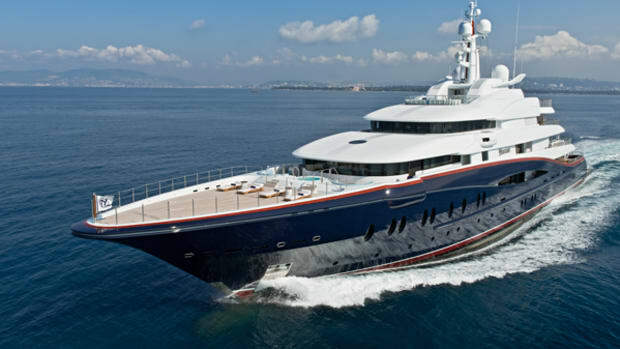 It’s easy to imagine one generation of family members watching a movie while others are spread out above decks. 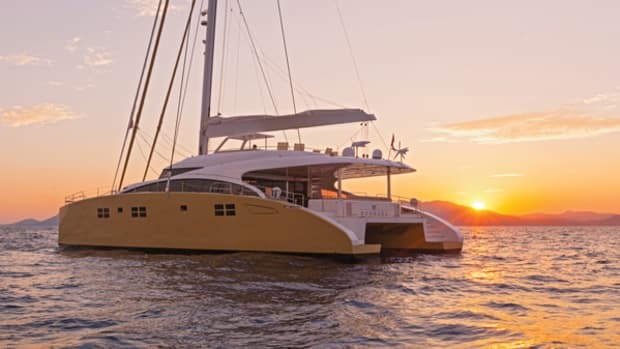 It’s also easy to imagine the kids and adults alike poking their heads into the compact but functional galley located steps away to request some fresh-popped popcorn and other refreshments. Another nice surprise: Diamond is kid-friendly. 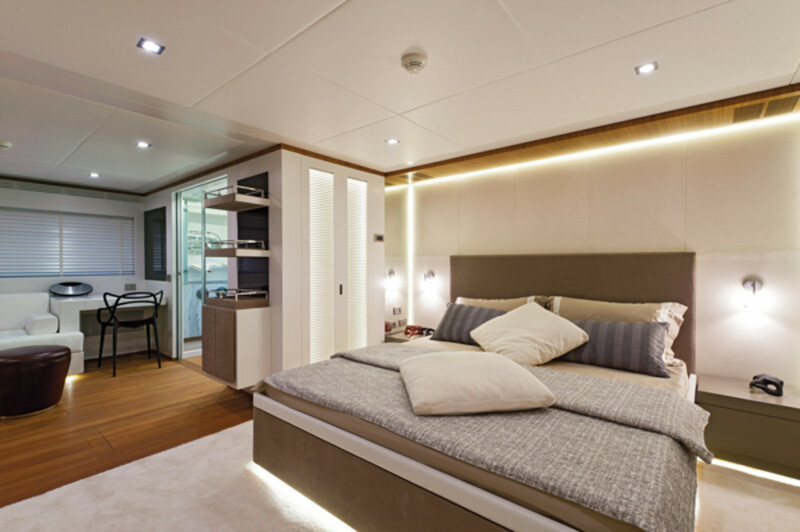 A bunks-equipped guest stateroom lies opposite the VIP, which is fitted with a double berth. Another twin-berth stateroom has Pullmans. The grandkids, though, typically use the guest stateroom that converts to a gym. Of course, all of this is not to say that Diamond isn’t equally well suited to the grown-up set. Besides the VIP stateroom, there’s a full-beam master, which contains a lounge. Diamond also has a sophisticated, minimalist décor emphasizing light tones accented by bright punches of color.